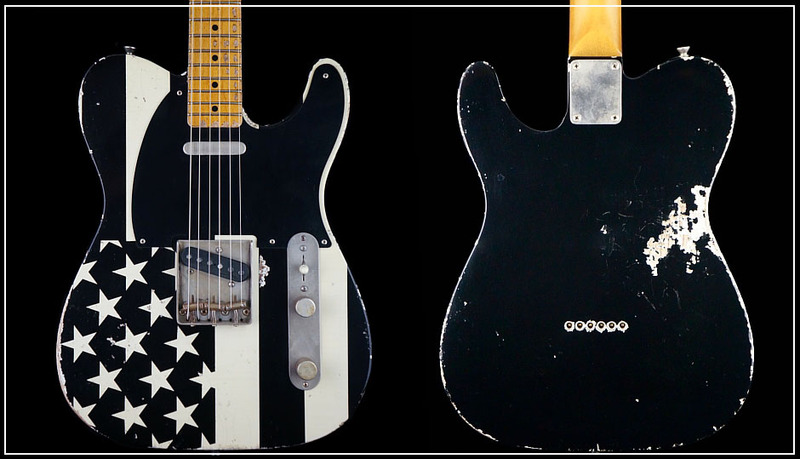 The Gilby Clarke Signature Model features a nitrocellulose finish and black and white flag design on the front with black sides and back. 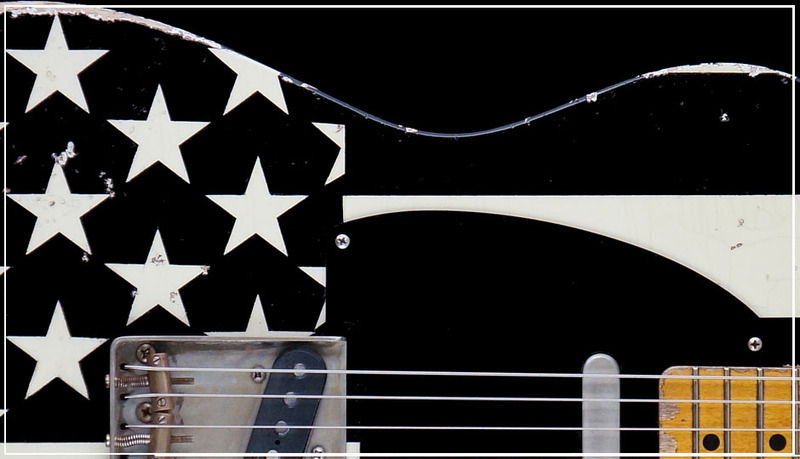 The idea for this design came from Gilby who was inspired by his friend and Detroit guitar hero Wayne Kramer from the MC5. 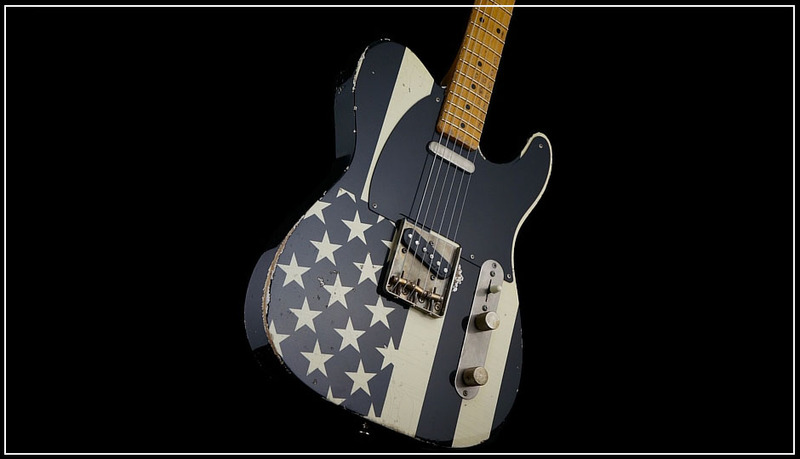 The guitar is aged on the medium to heavy side with a hand-signed headstock. 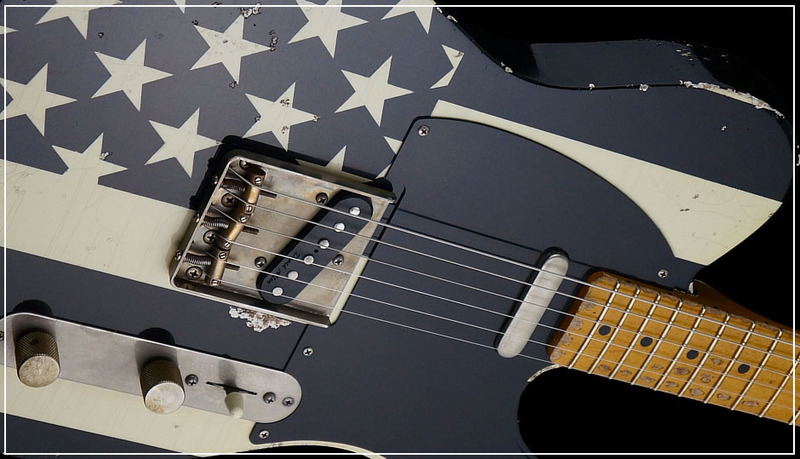 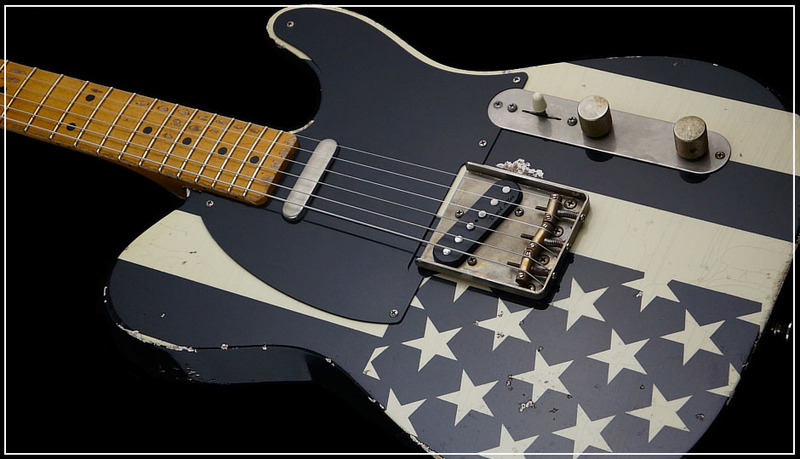 “Being a big fan of vintage guitars, I love the look and feel of a worn in looking guitar,” says Gilby. 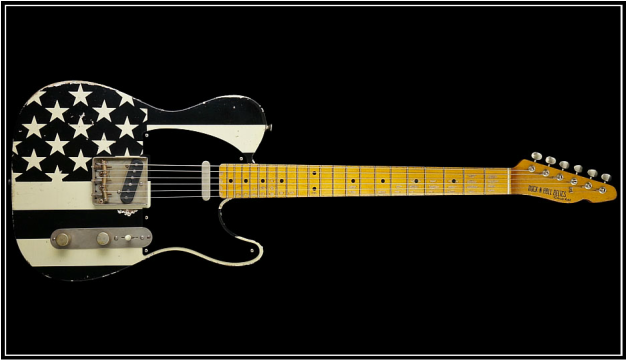 The body is a light-weight Ash, neck and fretboard is a tinted Maple with a comfortable broken-in feel and pickups are a set of D. Allen Specials.